You don’t need to have Celtic blood in your veins to celebrate the festival of the Irish patron saint (although it’s said that 40% of people in Quebec can trace at least one Irish ancestor). 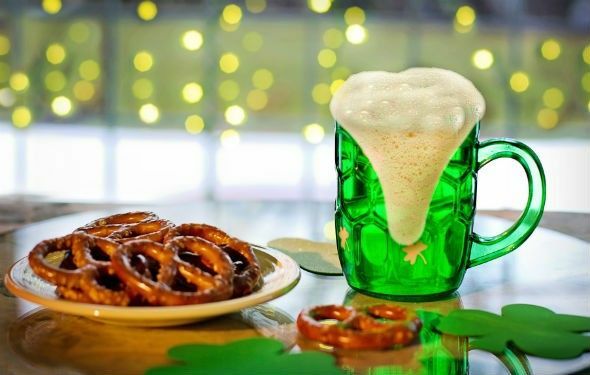 On March 17th, many of us will be only too happy to dress up in green, pin a clover onto our button-holes, get together with friends to drink a few or more of beers. This week, I recommend that you enjoy a good any one of these Irish recipes and polish off your meal with an Irish Coffee (pour a spoonful of whisky into a hot mug and add coffee to it. Spoon whipped cream on top, but don’t mix.). Cheers! Originally published in the Journal de Montréal on March 17, 2007.